The Small Business Administration (SBA) is celebrating October as National Women’s Small Business Month by highlighting the accomplishments and challenges women face. 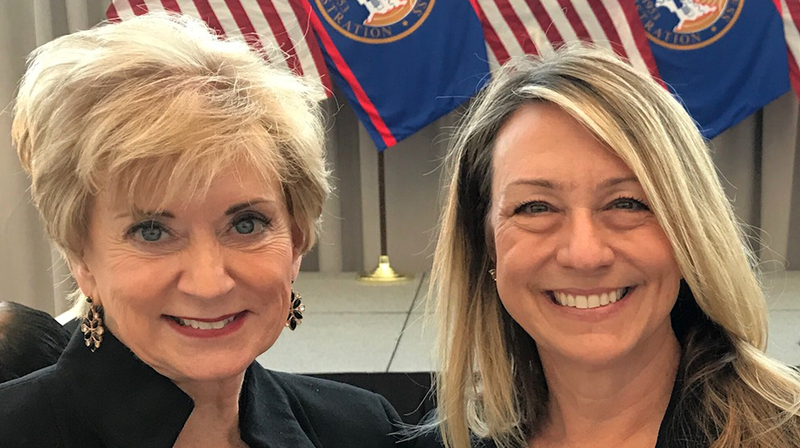 In recognition of this month, SBA Administrator Linda McMahon has written a blog on the organization’s site on the entrepreneurial spirit of women. In particular, McMahon has highlighted April Lukasik, who started a childcare center after the birth of her second child. The SBA played a great role in making Lukasik’s dream come true by providing the financing she needed for her business. That was 1997, today Lukasik has four Bright & Early Children’s Learning Centers and she was recently named the 2018 Connecticut Small Business Person of the Year. Financing is one of the biggest challenges women face when they decide to open a business, which was pointed out by Lukasik in the blog. She said, “Without the SBA, I absolutely would not have been able to build the business I have. Today Lukasik’s company employs 70 people with full-time jobs, while at the same time providing a valuable service in her community. And it all started with the resources the SBA offers women. In the blog, McMahon said the celebration of the month was a great opportunity to highlight some of the many resources the SBA provides women. Three of the resources highlighted by McMahon are the SBA’s Office of Women’s Business Ownership, which encourages female entrepreneurs and empowers them through advocacy, outreach, education, and support. There are 68 district offices across the country providing a range of business training and counseling as well as access to credit and capital, and marketing opportunities. Women’s Business Centers is a national network of 116 educational centers designed to assist women in starting and growing small businesses. According to the SBA, the goal is to level the playing field for women entrepreneurs facing unique obstacles in the business world. The last one is the federal contracting assistance program, which awarded $20.8 billion in government contracts to women-owned small businesses in 2017. The US government has a goal of providing women with 5% of all federal contracting dollars. The SBA helps women qualify for government contracts by simplifying a process which can get very complicated. As October celebrates National Women’s Small Business Month, here are some data points from the eighth annual 2018 State of Women-Owned Businesses Report by American Express. Another 2.4% of women-owned businesses generated between $250K and $499,999, and 1.6% made form $500k to $999,999. And those generating more than $1 million made up 1.7% of the businesses.